Looking for sewing inspiration? 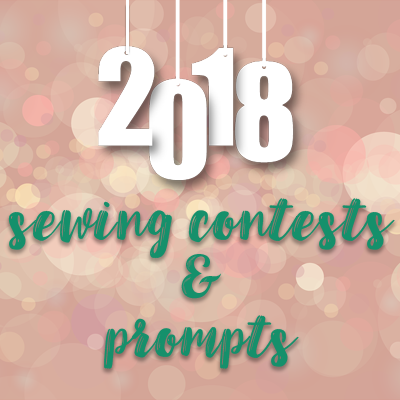 Below is an ongoing list of 2018 sewing challenges and prompts within the online sewing community. All of these provide a great way to connect with the community and expand your skills. I’ll update the list as I learn more! 52 Week Sewing Challenge: Facebook group with a weekly challenge and various sponsors. #CurvyYearofSewing: bi-monthly challenge hosted by Curvy Sewing Collective where you choose the patterns for any of their given themes. #HinterlandSewOff: hosted by @thesaraproject_ and @thedoingthingsblog on Instagram, simply make up the Sew Liberated Hinterland Dress and show it off for prizes. More at Sara’s and Tori’s blogs. #LiterarySewingCircle: a book club for sewists!! The group reads a book and then creates something inspired by the story. How novel! (Pun intended!). More at Following the Thread. #OWOP18: another One Week One Pattern challenge hosted this year by @sewisfaction. Pick one pattern, wear only that (and any variations) for one whole week! Everything you need to know is on her blog. Runs last week of November 2018. PatternReview: multiple monthly challenges with various themes and rules, must be a member of PatternReview.com. 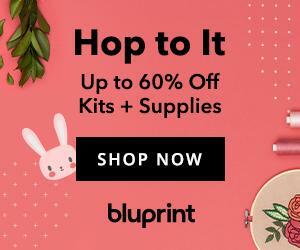 Project Sew It: Facebook group with monthly prompts for wardrobe basics, monthly prizes in the form of pattern giveaways. #sew100in2018: want to take on a serious output mission? With a stated goal to sew at least 100 items in 2018, you’ll need to join the Facebook group to read the extensive rules. 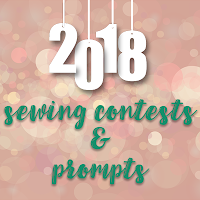 Sew Alongs & Sewing Contests: Facebook group with themes that last 1-3 months, monthly challenges may or may not be sponsored. #SewAlteredStyle: a year-long skill-building challenge around 6 pre-defined wardrobe basics (with a huge emphasis on pants), join the Sew Altered Society Facebook group for more. Mini Capsule 7×7 Style Challenge — Pants Edition: to amp up the pants portion of the year long challenge, Sew Altered Style is hosting a capsule wardrobe challenge too! #SewFrosting: hosted by @truebias and @closetcase.patterns to create that are a bit more impractical or push your comfort zone. More info on Kelli’s and Heather’s posts. #SewMyStyle: monthly pattern challenge, sign up for discounts to featured monthly patterns and access to the VIP Facebook group. #TheLittleRedDressProject: annual event on Instagram and YouTube hosted by @thetwilightstitcher. Check out her blog for this year’s rules and deadline. #2018MakeNine: “a gentle challenge for makers” was originally the brainchild of Rochelle New from Lucky Lucille and encourages a plan for 9 total garments a year, of your own choosing. #2018SewingChallenge: created by Rachel Chilcott of Bunyip Crafts to improve her sewing skills! Anyone can join the Facebook group and follow along with the monthly prompts. 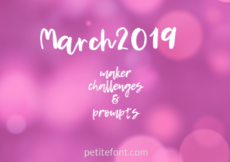 #2018TakeNine: “a gentle photo challenge for makers” is another work-at-your-own-pace prompt-based challenge also from Rochelle, but with a twist. Check out her blog post for more info. #2018UseNine: an attempt to reduce your fabric stash, the concept is similar to #2018MakeNine but using the fabrics in your own stash. Play along on Instagram. 365 Days of Sewing: Ciara is attempting to sew every day for the entire year and encourages you to join her! #bpsewvember: a daily Instagram prompt hosted by Amanda of Bimble & Pimble that takes place in November. More info and a review of the last four years on her blog. Chambray Blues Sew Along: Jessica has chosen 12 commercial patterns to create free sew alongs around, with her assistance in making them. #MAGAM Sewalong: stands for Make a Garment a Month and hosted by Sarah Liz on Instagram and Facebook, with a full explanation on her blog. #Project333: an Instagram “journey through your closet” to inspire you to only wear 33 items for 3 whole months. #SewingLeftovers: Shauni of The Magnificent Thread invites sewists to use up their leftover fabrics to build cohesion, reduce waste, or whatever your goal might be! #SigCOTM: my personal monthly signature color challenge inspired by birthstones. Seamless Pledge: similar to the 2018 RTW Fast above, but ongoing and you choose your own timeline. If you missed joining the Goodbye Valentino’s fast, this might be for you! Check out Sew Seamless for more info. #SeptemberSewcial: a daily prompt throughout September to get to know your fellow makers a little better. Check the daily post by @FabricGodmother. 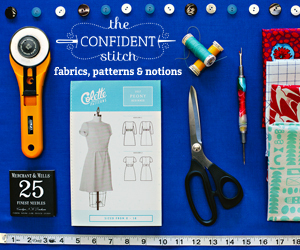 #StashShrinker: on a goal to shrink your fabric stash? The SewJourners challenge may be for you. It also comes with a free tool to assist with your endeavors. And dovetails nicely with #2018UseNine above. The Monthly Stitch: monthly themes, only one of which is sponsored (Indie Pattern Month). Check back next year for these retired contests and prompts. 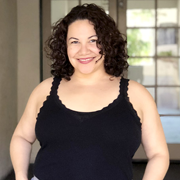 #CashmeretteActive: sew up any of the new Cashmerette Activewear garments and post a photo wearing it while doing your favorite exercise and be entered to win prizes, last day to enter is Feb 12. #ColorUsCreative: a multi-blogger hosted Instagram challenge to inspire each other. Started by @tabithasewer and runs through April 2018. #DayandNightDressChallenge: the idea is to create 2 dresses, one for a coffee date during the day, another for a cocktail in the evening. All the details are over at Elizabeth Made This. Open on Instagram until March 5. #DressLikeYourGrandma: a vintage sewing challenge inspired by the generations before us. More info and sign-up details on Tanya Maile’s blog. 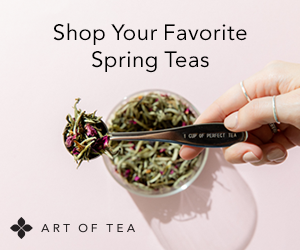 Ends April 30. GreenStyle Creations New Year Mini-Fit Capsule: join the Facebook group to participate in making a mini-capsule of 3 athletic garments from the GreenStyle Creations Patterns. Deadline is Feb 28. #NoFearNewJeans: Closet Case Patterns is encouraging everyone to take on jeans making in February. They even have discounts on their jeans patterns and courses on their website. #BRAugust2018: annual contest to share your lingerie! More from @bodils_wear. #MIYMarch18: Wendy Ward’s annual Instagram photo challenge has a new twist this year. #SewingtheScene18: annual challenge to sew a garment inspired by a film or TV show. See The Unfinished Seamstress for all details. Post by Oct 1. Sewing with a Plan (SWAP 2018): create an 11-piece capsule wardrobe, must be a member of the Stitchers Guild, ends April 28. #SewTogetherforSummer: this year’s theme is a wrap dress! More info on Sew Sarah Smith. Ends June 21. #SMYLY2018: stands for Sewing Makes You Love Yourself and only runs from Jan 1 to Feb 28, so head on over to Athina Kakou’s blog for more details. #2018sve: 2018 Secret Valentine Exchange is a lovely idea hosted by Sanae and Ute to “spread love and cheer through handmade goods.” Sign up by Jan 10 to be part of the exchange at Sanae’s blog. #CashmeretteChallenge: what started as a dare between Gillian (@gilliancrafts) and Jennifer (@weboughtamanor) to only wear Cashmerette patterns through the month of February, is now open to the Instagram community as a whole who can play along by using the hashtag. #GreatBigPatternSwap: post a pic on Instagram of any patterns you’re willing to give away, choose some to receive from others participating, mail your patterns off and make something from your received pattern by August 18. #MarchMeettheMaker: hosted by Joanne Hawker on Instagram, this is for any small business involved in the creative space. Miss Bossy: the April 2018 theme from The Monthly Stitch, requiring your readers to choose either your next project, fabric, or both! #MMMay18: an annual Instagram event started by Zoe Edwards to encourage makers to enjoy their handmade items as possible throughout May. Sign up at Zoe’s blog: Zo So What Do You Know? #OrganizedSewing: a daily Instagram prompt throughout January, brainchild of Seamstress Erin Designs to inspire everyone to start the year off organized. #SewPhotoHop: an annual month long prompt-based Instagram challenge created by Rachel of @HouseofPinheiro. Takes place in September. #SewStripes: the Sewcialists are reprising this fun prompt throughout February, just sew anything with stripes and post on Instagram using this hashtag. #SOISelflessSewing: the gals at Sew Over It are encouraging makers to dedicate April to sew for others this month. #Summer10x10: started by Lee Vosburgh of StyleBee.ca, this is a challenge is a very flexible approach to a capsule wardrobe. Next round start July 27. If you know of others, please feel free to leave a comment and I’ll add to the list. 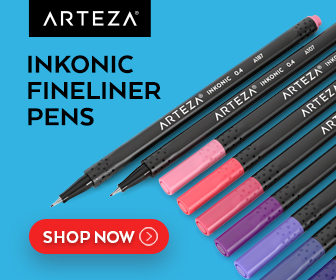 These are great for inspiration and making New Year’s ReSEWlutions! If you’re interested in making your own sewing goals for 2018, Helen and Caroline of the Love to Sew podcast have a great episode about this exact topic! I'm doing my own personal challenge (though I certainly encourage others to try it!) that I'm calling 365 Days of Sewing. Pretty self-explanatory: I just try to do something related to sewing every single day for the whole year. My plan is to post a daily photo on IG using the hashtag #365daysofsewing, & to post a weekly update on my blog at http://ciaraxyerra.com. Oh that's great!! And so happy you're finally out of the cast and can sew again. It must feel wonderful. That was an easy fix, thanks for pointing out the error, La Karibane. May I ask what pisses you off? Is it that I gave her undue credit or that she is receiving exposure? Thank you! And obviously, I have nothing against you. Sorry if that came across as so. English isn't my native language. Instead, I am pissed of at Hila of Saturday Night Stitch and at Burdastyle US. This level of brazen intellectual dishonesty is just off-putting. Hila knows what she did. 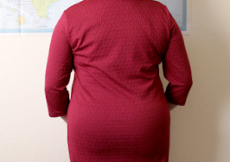 If you look up her name on Pattern Review, you can see her posts on the last 2-3 years of the Burda challenge on that forum. Why can she not have the decency to say "I am doing this challenge I learned about on Pattern Review"? Versus "I invented this challenge". And even if Burdastyle had made the assumption, why would Hila not have asked for a correction? And Burdastyle, via Meg Healy, actually came on PR (maybe after my posts?) to invite us to the challenge, as if it was a mere curtesy! So neither of these people are acknowledging what happened. I think social media has revealed just how many emotionally immature adults are running around in this world. Does internet fame really require blatantly lying about things, playing deaf in the face of material evidence and even blocking people who point out the truth??? Sheesh! Sorry for the rant but I am just frustrated. First, Colette patterns and the Rue Dress Debacle of 2015, now Saturday Night Stitch. Online personalities love sweeping things under the rug. 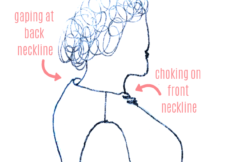 To the point I have to laugh at all the newcomers who laud the "wonderful online sewing community". Yeah, right! In any case, thank you for posting my comment, even if it is a negative one. I really appreciate this. I am running a variable ongoing challenge on my blog, which will happen a few times a year — it's called The Literary Sewing Circle (hashtag #LiterarySewingCircle) and is essentially a bookclub for sewists. We read a book together & then sew something inspired by it. Runs about 6 weeks, with an additional 3 for project posting. We are just finishing up Read 1 of 2018, but the next will likely be starting in late April. It's an unsponsored, low key sewalong and open to anyone who does any kind of textile creation. Thanks!